In December 2012, the Indonesian Tourism and Creative Economy Ministry has created a list of 30 iconic Indonesian dishes to promote traditional dishes for tourism purpose. No doubt, traditional dishes is a very important key to introduce more about Indonesia in a international forums and markets. Talking about food is talking about place, culture and identity. The diversity of Indonesia's culture and heritage reflects as well in a huge varieties of Indonesian traditional dishes that mark Indonesia's culinary today. As rich as its natural beauty, as vary as its peoples and cultures, Indonesia is also blessed with manifold varieties of culinary delights. 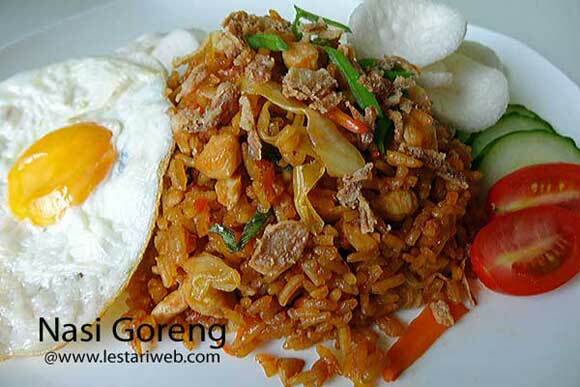 From the sweet taste of Yogyakarta´s cuisine to the distinct strong and spicy flavors of Padang´s Food. The 30 Indonesian Traditional Culinary Icons were selected to present the authentic taste of Indonesia, from the West to the East part of Indonesian archipelago, from appetizers (A), Main Dish (M) to Dessert (D). Some recipes I have posted already here and I am working forward to complete the list. Feel free to take a look, give a try and hopefully I can bring you to the great of Indonesian Culinary Adventure ;-). At least ..take a note and don't forget to try one if you visit Indonesia.